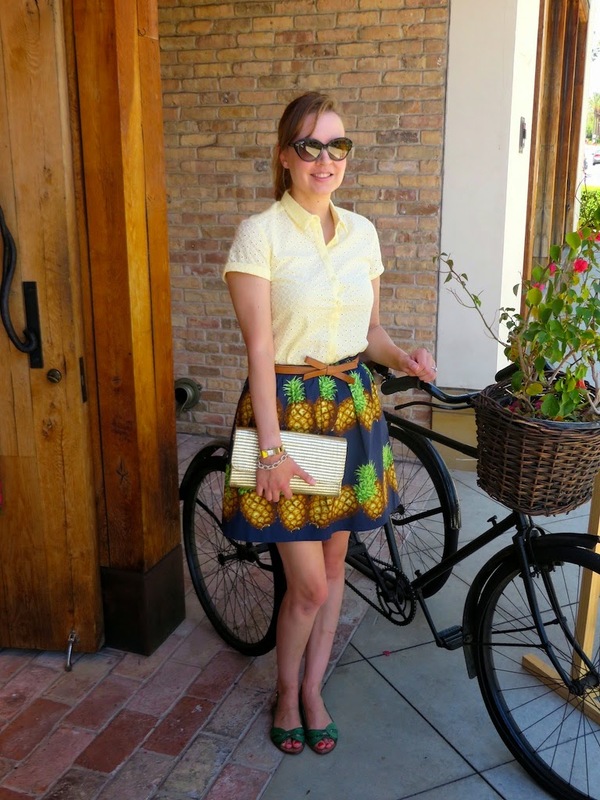 I want to say that this pineapple skirt from J. Crew was one of my favorite purchases from last year, but I feel like I say that about far too many things. I have gotten quite a bit of use out of it though. Each time I try to style it in a slightly different manner. One day with stripes, chambray or today a yellow eyelet top and gold accents. This skirt turned out to be a huge hit with my students or at least they found it to be "intriguing." 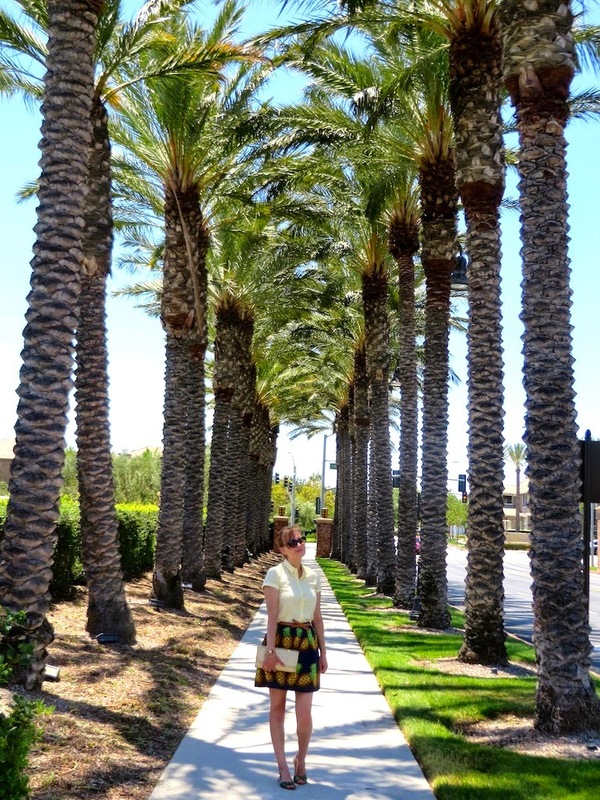 They confessed to me that it was "the most eccentric skirt" they'd ever seen. Clearly they haven't cracked open an issue of Vogue because there are far more eccentric things in there. (I guess that's probably good, as they should be spending more time cracking open Shakespeare and Dickens instead of something like Vogue.) Well, bizarre or not (I find it to be rather tame), this is definitely one of my favorites and I am sure it will be for years to come! I hope you enjoyed all of my pineapple and palm inspired pics. I feel like the palms give off a quintessentially Californian vibe. On a random note, the vintage tricycle below is obviously not mine. It's outside of Anthropologie and can be yours for a mere $1400, a real steal. I think I'll stick to my bicycle...it's actually a pink Hello Kitty beach cruiser! Perfect for Hello Katie Girl! Perhaps I'll feature it in a future blog? Such a cute skirt! J.Crew has the cutest skirts! Thank you Jacqueline! I love J. Crew's skirts as they always come out with innovative prints and designs. The pineapple tank sounds perfect for Mexico! Pineapples are everywhere this spring. They have a few cute pineapple printed items at Target too.